Mindful awareness means to know experientially and consciously what is going on around you and inside you, with enough sensitivity and discriminating intelligence to identify the causes and forces that are at work in precipitating the reality that you experience objectively and unobtrusively. To be aware means to be awake, watchful, vigilant and attentive. With mindful awareness you make sense of your perceptions and learn from your experiences, whereby you vastly improve your chances of survival and success in world of conflicting interests and innumerable distractions. Physically, we all live in the same world and share the same environment and resources. Yet, we experience them differently in our minds since we are driven by our own set of thoughts, desires, opinions and beliefs. Our minds are not made to be mindful but selectively efficient in choosing what is necessary for survival and continuity. Therefore, they resort to shortcuts to save time and energy. 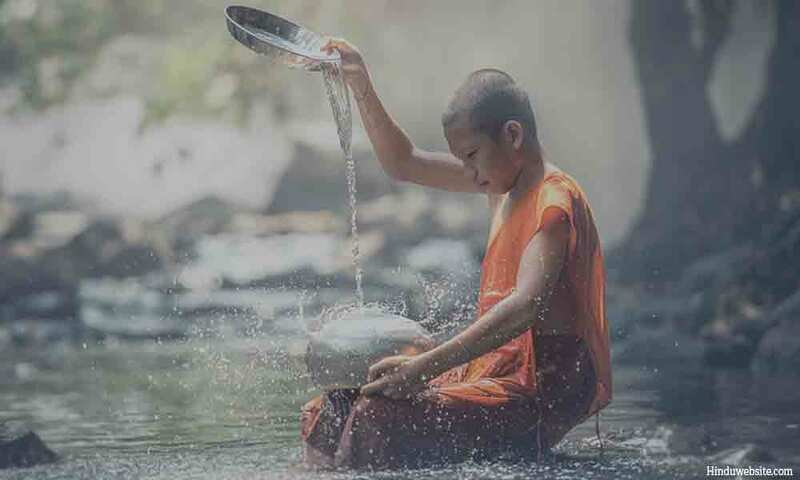 There are several advantages in breaking the habitual patterns of the mind and brining mindful awareness to observe our own actions and reactions to the numerous situations that arise in our daily lives. The immediate advantage of doing it is we gain an insight into ourselves and the way we think and act in different circumstances. This knowledge gives you power to control and regulate your thoughts and actions. If you are aware of what is happening within you and around you and if you are also attentive to your inner world at the same time, your actions and responses will be vastly different. You will be thoughtful and you will not let your mind play its usual games and make you a victim of your own impulsive nature. As you gain insight through observation into your own emotions and the actions of others, you become precise in your responses and tolerant in your attitude. Your thinking and attitude also depend upon how much you know about yourself and others. People are successful in their lives to the extent they are aware of themselves, others and the world. Your awareness is the key to your life and to liberation. When your awareness is saturated with thought, tempered with responsibility, polished by practice and skill, it leads to balance, equanimity and inner stability. To be aware of the consequences of your actions, and their influence upon your life and your future; to be aware of the forces that interfere with your life and determine its course; and to be aware of the underlying reality of your existence, and your personality, is the ideal towards which we have to move eventually. In two different ways, you can bring your mind to rest and take it into a heightened state of awareness and stability. One is the classic withdrawal of the senses (pratyahara) into your mind and your mind into your intelligence or rationality (buddhi) and practicing concentration on your inmost self with determination, until you become lost in your thoughts and experience the inner unity. The other is by becoming a good observer, letting your senses do their work and paying close attention to your perceptions, sensations and feelings. One is the inward approach in which you take control and the other is the outward approach in which you let go without losing your focus. To practice the first method you need privacy and a place where you are not usually disturbed by others. However, you can practice the other in any situation and wherever you like. You can practice mindfulness as a way of life and learn a lot from your experiences, even while performing the most routine and ordinary tasks such as washing dishes, cleaning the house, listening to a conversation or while walking or eating. Both the approaches are useful and can be practiced complimentarily to develop keenness of observation and depth consciousness. By depth consciousness, I mean becoming aware of what is happening in you mindfully, even when you are busily engaged with the external world or when you are interacting with people and situations. If you want to cultivate expansive state of awareness and heightened sensitivity to the world in which you live, you may practice one or both these approaches. In both cases, if you want to make your practice more fruitful and become a skillful observer of things, you need to pay attention to the following and practice them seriously. Practice detachment. If you are attached to things and if your mind is driven by desires, it is difficult to stabilize the mind. You will see well, when you learn to look at things with certain aloofness and from a distance. If you become involved with what you see, more likely you will be overwhelmed by it and become lost in your feelings and emotions. Pay attention to your breathing, whenever you find time. If you breathe regularly and with certain rhythm, you develop greater mastery over your emotions, reactions and impulsive behavior. Practice silence. Silence soothes the nerves, saves you from conflicts and misunderstandings, gives you an opportunity to observe the world around you and choose your responses carefully. Besides, when you are silent you become more thoughtful, attentive, sensitive, empathetic, intuitive and tolerant. You have to set aside your ego, your thoughts and preconceived notions to see things as they are. Your ego distorts your vision of the world whereby you do not see things as they are but as represented by your thoughts, notions, interests and opinions. In short, your view of the world is impeded by your own worldview. If you can silence your ego, your awareness of the world increases tremendously. See things as if you are seeing them for the first time. Inject some enthusiasm and interest in what you observe, even if they are routine and boring. Try to bring into play as many senses as possible. Develop critical observation skills by watching paintings, art objects and photographs with the mindset and awareness of an expert. Pay attention to the details and the thoughts and emotions that arise in you as you observe them. Be here and now. Our minds usually wander off into the past or future. These distractions prevent us from experiencing life as it happens. The quality of your perceptions and thoughts improve vastly if you remain in the present and pay adequate attention to your surroundings. If you want your feet to be grounded in reality, you must let your mind stay in the present and your senses under its masterly control.